Feng Shui - The ancient Chinese art which uses Chinese Astrology and the Five Element Chart to form a customized analysis based on your inherent energy as well as the solar, earth, and structural energy. 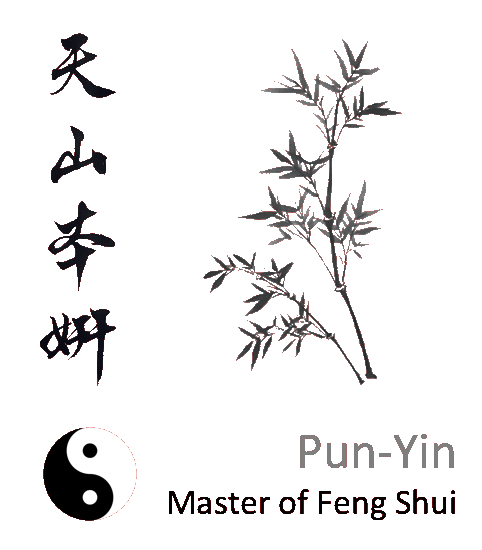 Feng Shui Prescription – An individual's unique Feng Shui advice based on their Five Elements chart. Feng Shui Practitioner – The most basic of those with Feng Shui training. Feng Shui Master – Extremely prestigious tier of Feng Shui. Requires many years of training, studying, and practicing Feng Shui. Feng Shui Grand Master - The highest ranked in Feng Shui. A Grand Master must be appointed by a previous Grand Master. Luo-Pan – A compass which indicates alignments that diagnose Chi (energy) through symbols of the Yin & Yang, Heaven Stems/trigram of 8 directions, 4 hexagrams corresponding to the 24 mountains, and the Five Elements Chart. Chinese Zodiac - There are 12 Zodiac signs, one for each lunar year. However a complete cycle takes 60 years, as the cycle also counts the Five Elements. To fulfill the complete 60-year cycle, each Zodiacal animal sign must be paired with each of the Five Elements (12 x 5 = 60). Rising Sign – The Chinese interval of time based on your birth sign. There are 12 intervals which occur each day. 10 Heavenly Stems - The significance of the Five Elements, paired with the 12 Earthly Branches used to determine personality and destiny. Earthly Branches - There are 12 earthly branches, which are based on the orbit of Jupiter. The 12 branches can identify the 12 months of the year, 12 animals, seasons, and months. I Ching - Ancient Chinese text which contains a divination system similar to Western geomancy.